The Møller Institute team are thrilled to launch the Ideas for a Better World MOOC (Massive Open Online Course) which has grown out of the British Council Future Leaders Connect programme which the Møller Institute runs in Cambridge. This programme brings together 50 young policy leaders from around the world for a development programme which focuses on enhancing the impact they can have. Future Leaders Connect is currently in its third year – in the first two years a combined total of 26,000 individuals applied to be part of the programme. Aware of the high level of interest and the underlying developmental need that represents, the British Council then decided that it would like to create an opportunity for unsuccessful programme applicants to develop their knowledge and understanding. This led to them asking us at the Møller Institute to develop content for a MOOC based on some of the content of the face-to-face programme. The MOOC will be free and open to access, and the target audience profile is young and emerging leaders in policy who are early in their careers. While the initial focus of the MOOC was those who had unsuccessfully applied for the Future Leaders Connect programme, it is not limited to them and will be open to all. The MOOC will be hosted on the FutureLearn platform which is designed to create open access to knowledge and learning. The online course is running for four weeks, with a new module being released each week. The course consists of various online learning resources including videos, articles and interactive exercises that share knowledge, models and experiences for participants to learn from. We are fortunate to have had the involvement of various UK and international leaders who have shared their experience and insights which are part of the course material. We also have case studies and involvement from young leaders who share their perspectives on the policy leadership career journey. Rather than being a simple archive of material for participants to go through, the course is designed to create opportunities for interaction and discussion. Instead of just absorbing information we want participants to be able to discuss and reflect with each other, potentially building connections between them. Throughout the course there are defined opportunities for comment and reflection – and like all good conversations we need to be able to trigger and support these conversations. We are looking for people who can dip in and out of discussion threads, ask thought-provoking questions and keep people engaged with the journey as a whole. This does not require deep technical knowledge on the part of the facilitator, but more a desire to engage with the learning of others and an awareness of the context of policy leadership. In addition, each week we are going to hold a livestreamed discussion which delves deeper into the content of that week and creates further opportunity for discussion. We would invite facilitators to be part of this live discussion where you can share your own experience and perspective for the benefit of others. To support facilitators, we will run a one-day development session in Cambridge which will not only cover practicalities such as discussion moderation and use of FutureLearn but also leadership development and the content covered in the course. Each facilitator will be named and credited as part of the team behind the course, enhancing your profile as a policy leader and thinker. The course will go live for the first time on 8 June, and then run for the following four weeks. We anticipate running it twice further in the following 12 months. During the course we would anticipate that each facilitator engages with conversations on the discussion threads for a maximum of an hour a day – this doesn’t need to be all at one time. If you are interested in getting involved, contact me, details below. 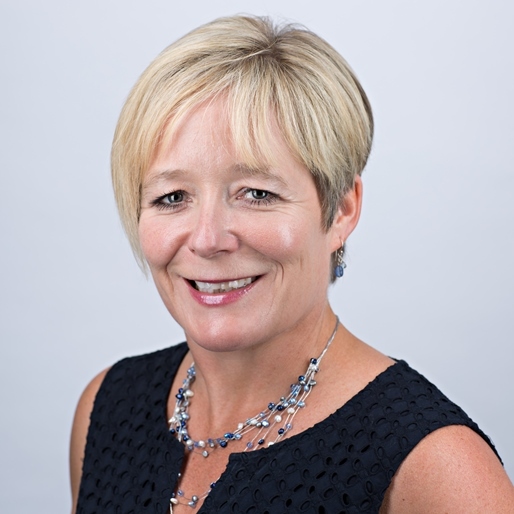 Cathy has over 20 years experience working globally in education, talent and executive development areas, spanning public, beyond profit and private sectors.